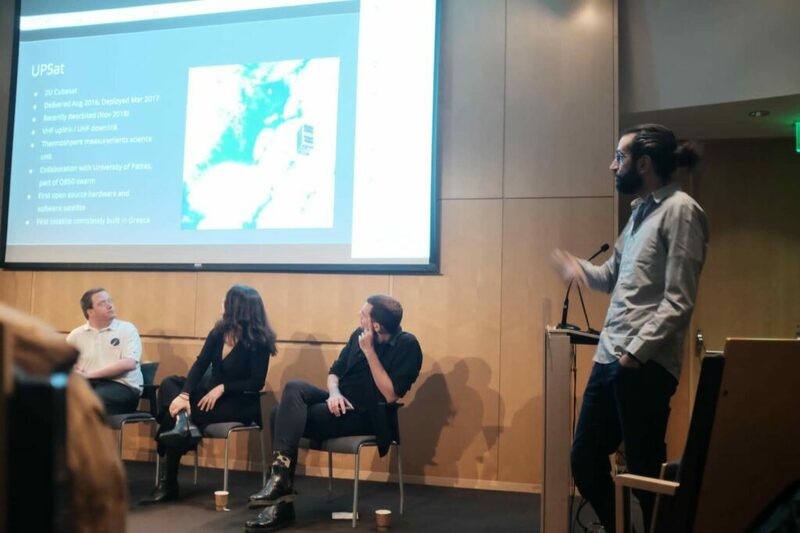 Members of the LSF team travelled to attend and speak at the “Beyond the Cradle” event held at MIT in Boston in the US. This lively conference was focused on envisioning a new space age and as such had a plethora of speakers from a diverse range of areas of the space community. 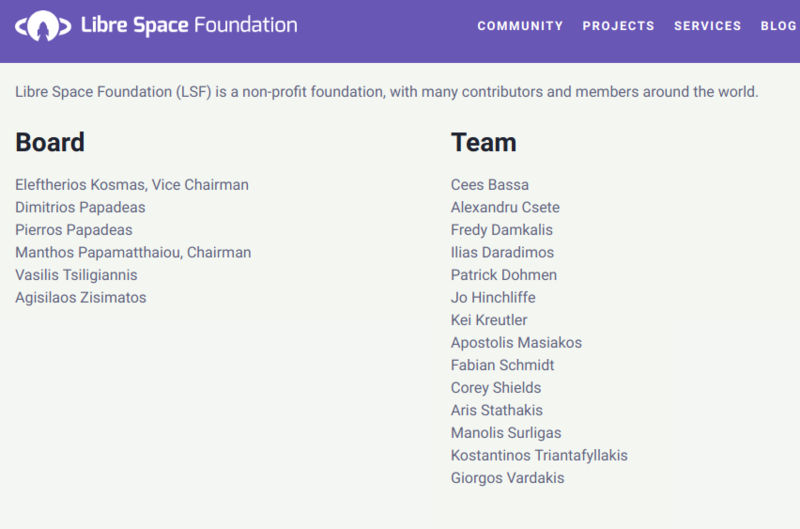 Pierros Papadeas spoke about the broad aims of Libre Space Foundation and the milestones so far, of course focusing on UPsat and SatNOGS as well as over viewing the open source working methodologies of our global contributors. 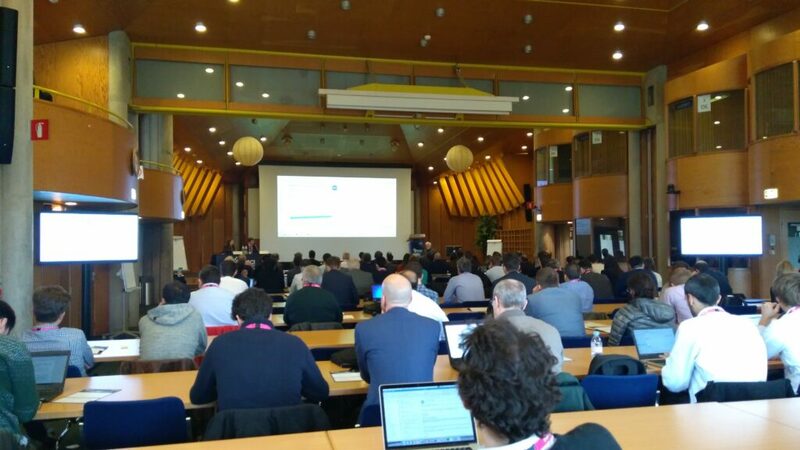 Members of Libre Space Foundation attended the European Space Agency Advanced Manufacturing Workshop held at the ESTEC facility in the Netherlands. A packed couple of days with overviews of current state of the art advanced manufacturing processes being presented and also working groups discussing and debating how to increase the relevance of advanced manufacturing techniques in the space sector. LSF team keenly promoted the notion of open source approaches and certainly utilising this approach for developing some responses to the problems in post/concurrent processing, metrology and quality checks that seemed prevalent barriers reducing the uptake of emergent additive manufacturing methods. Around the workshop timetable LSF team managed to network well and identified some parties interested in SatNOGS station development and also met with ESA staff to discuss potential ESA projects LSF may be interested in applying to join. 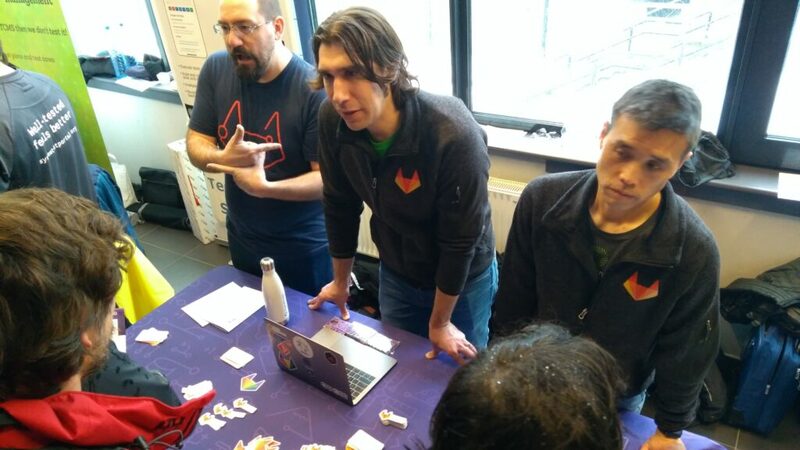 The Libre Space Foundations team and contributors attended a snowy FOSDEM to promote Libre Space and to work together on the various LSF projects. 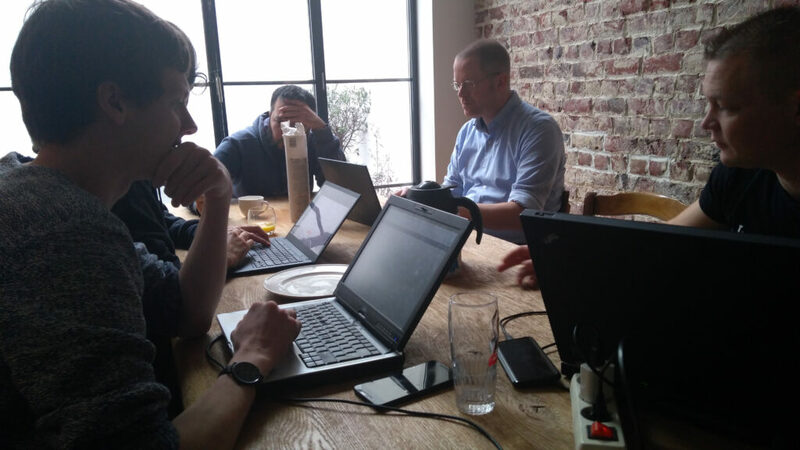 Around 21 regular contributors spent a lot of time together working in the apartment the LSF team had booked and it was wonderful to see the community meeting in real life and seeing the passion they have for Libre Space Foundation. Much of the work in the apartment was around SatNOGS however wider LSF projects, rocketry, pocketqube and PQ9ish were also being developed and discussed. 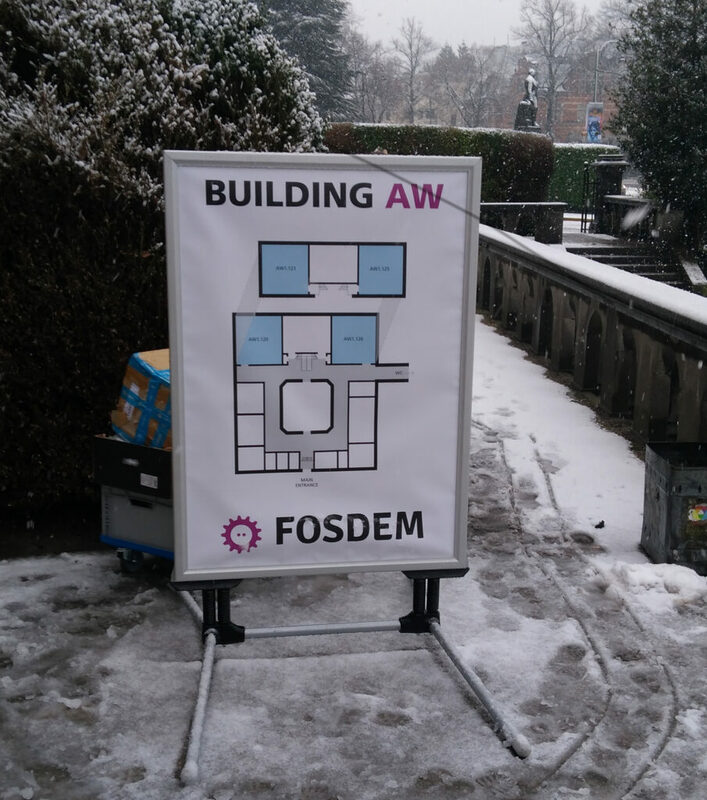 We managed both days at FOSDEM to have a small booth in the AW building and they were extremely well attended. A huge amount of people stopped to talk and to ask questions and many expressed an interest in building a SatNOGS station. The UPsat model and story continues to enthral people which is a fabulous legacy of the mission and the Pocketqube hardware again ignites interest in satellites and the miniaturisation of electronics for space. 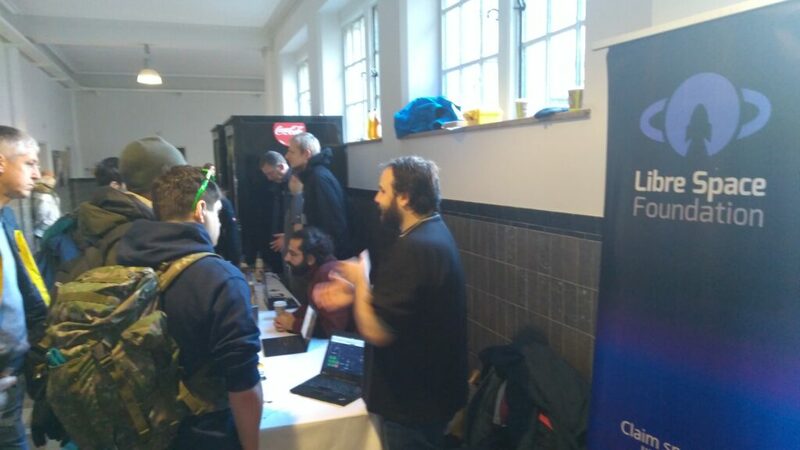 Whilst at FOSDEM numerous talks were delivered around LSF projects, and in particular the work on SDR makerspace. 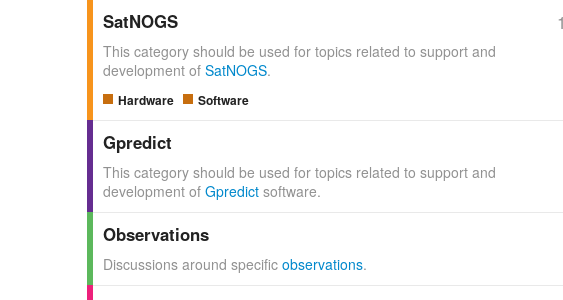 Nestoras Sdoukis delivered an excellent update on GR-Soapy. Alex Csete spoke about the SDR Makerspace as a whole, including information and updates around gr-leo and investigations of the IQ database. Libre Space contributors visited many stands/booths and talks relating to LSF activity. 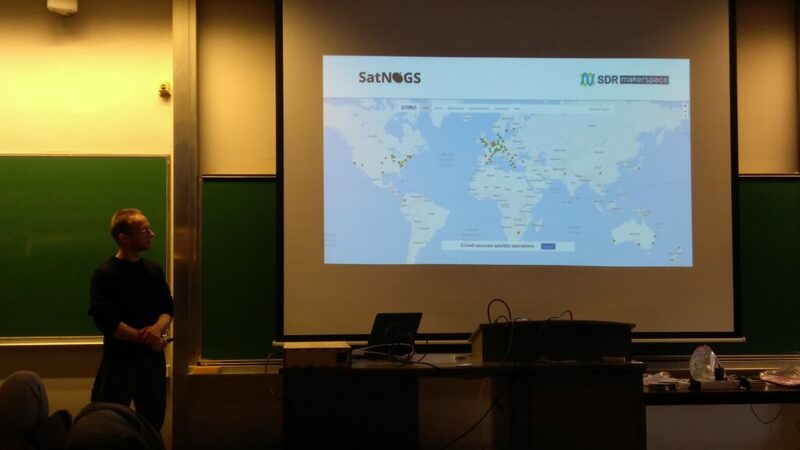 It was great to see SatNOGS contributors showing the Grafana people the public dashboards we are making for SatNOGS. It was obvious the Grafana team were thrilled to see their work being used for such an innovative project. LSF contributors attended KiCAD talks and liased with Gitlab and many other of the open source tools and platforms utilised in LSF work. Finally we wanted to thank everyone who came either as an LSF contributor, team member or the many hundreds of you who stopped at the booth for a chat. Chatting to you at and since the event leaves us invigorated and inspired to be part of this global team claiming space, the Libre way. meaningful ways, therefore it was only right to welcome them and include them as team contributors. 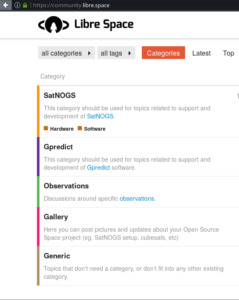 It’s been a big week behind the scenes at SatNOGS with a migration of the database performed and a change to enable a single sign on across all SatNOGS sites. These changes went extremely well and we thank the team who worked hard to make it happen. 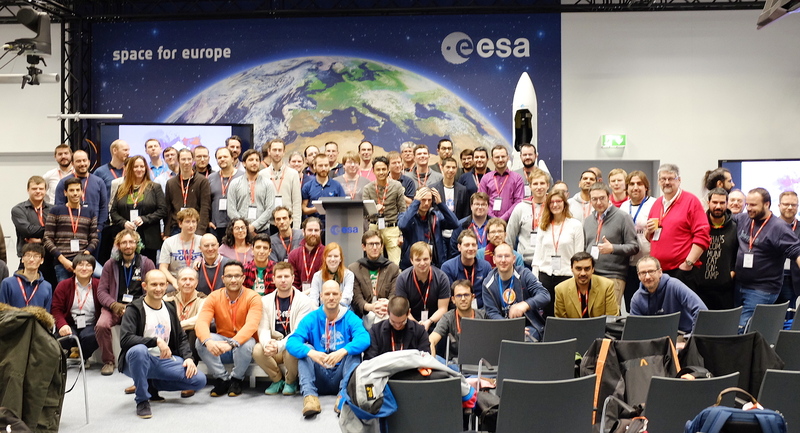 Also this week the community have been hunting for satellites launched on the Rocketlab ELaNA launch, capturing an ARISS scheduled contact and much more! 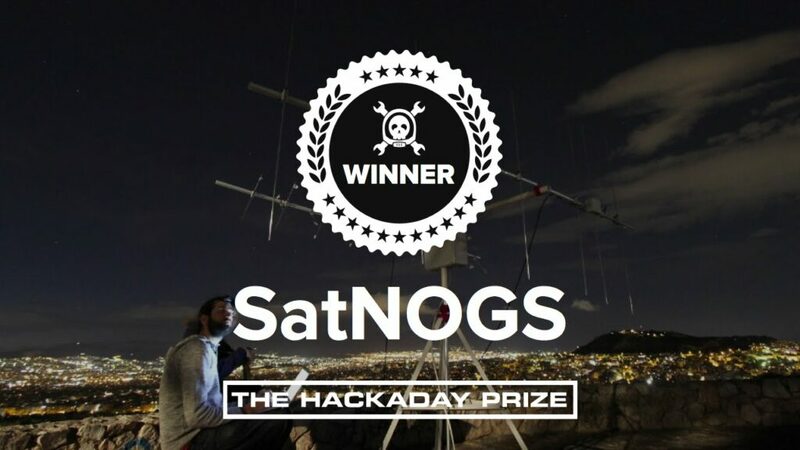 Info on these and other SatNOGS activities can be seen here on the SatNOGS page. 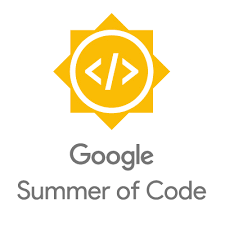 The SDR makerspace are pleased to announce that Alexander Csete is confirmed to speak about the project at next years FOSDEM. Its great to see our SDR makerspace project develop and gain some momentum.